Photographs may show modifications made to plans. You are about to embark on an exciting process, enjoy it! Each designer and architect plans are created with their own unique style and content. Please be sure to read the "What's in the Plans" tab, and if you don't see what you are looking for, be sure to give us a call. The house plans are not engineered. Check with the building department where the structure is being constructed to find out if an engineers review is required. We can help facilitate engineering for your plan if you are unable to find a local professional who can assist you. Your building department may also require a site plan of your lot be included with your submittal for a building permit. A local design professional in your area should be able to help you with this as well as evaluating your chosen plan to make sure it meets the local building requirements for weather and seismic conditions. Please read and understand your licensing agreement. This will clearly define what you can and can not do with your construction documents. PDF Masters, CAD Files, and PDF Print packages sales are final. Printed construction documents may be exchanged with an exchange fee within 30 days of purchase. Unless purchasing an additional build license (one time additional or multi-build additional) you may build the structure one time. Ownership of the construction documents can not be transferred or sold. Unless purchasing a printable package, you may not make additional copies of the plan without the permission from the designer. Ready to purchase plans and unsure which construction package to choose? We hope the following can help you decide. This is a single set of prints will allow you to completely review the plan, get accurate quotes for construction costs, and contemplate custom design changes you may wish to make. Study sets are marked Not For Construction and without the license necessary to legally build the home. Don't worry though, we allow a 100% upgrade credit towards a buildable licensed construction package within one year of your 1 Set Study Package purchase. These are licensed print packages of the construction documents printed and shipped to you. This PDF package is a non-modifiable, print only PDF file that saves time, gas, money, and paper! Many contractors and building jurisdictions are working with digital formats of the construction documents. The PDF print package allows for you or your contractor to distribute the construction documents to sub-contractors, use electronic submittals to apply for the building permit, and print the sets you need when you need them. An unlocked modifiable PDF file. Same conveniences as the PDF print package with the added benefit which allows your local professional to make engineering mark-ups or design changes using compatible software. By using CAD compatible software that use .dwg or .dxf file formats enables you or a local professional to modify the construction documents and integrate those changes throughout the entire plan. Once the modifications or engineering is incorporated into your design, you can reproduce as many copies of the plan needed to build the structure. Still unsure which package to choose? You may want to discuss this with your builder or give us a call. 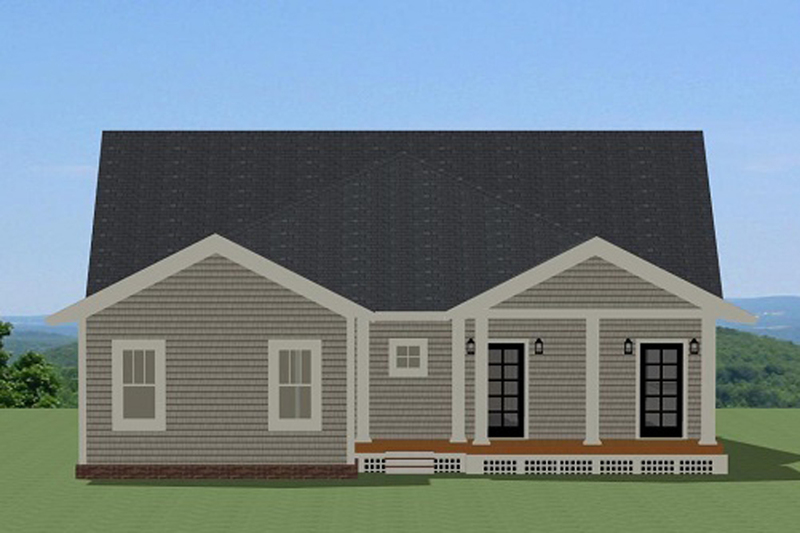 When looking at plans, most often it's the exterior profile that will first grab your attention. You love the exterior, it's exactly what you envisioned, but what about the inside of the design? It's important to spend some time and digest the design's interior elements. Here are a few considerations to think about when evaluating if this is the right plan for you. First off, think about how you live in your home. Do you or your family prefer to have one or two places to gather all together, or do you prefer to have more private places within your home. Consider how you move through the home in your day to day life. Visually walk through the front door, what do you walk through or by? Do the same from your back door and garage entrances. Is your family life more formal or casual and do the living spaces of the design complement your lifestyle? Will your existing furniture fit within the spaces? 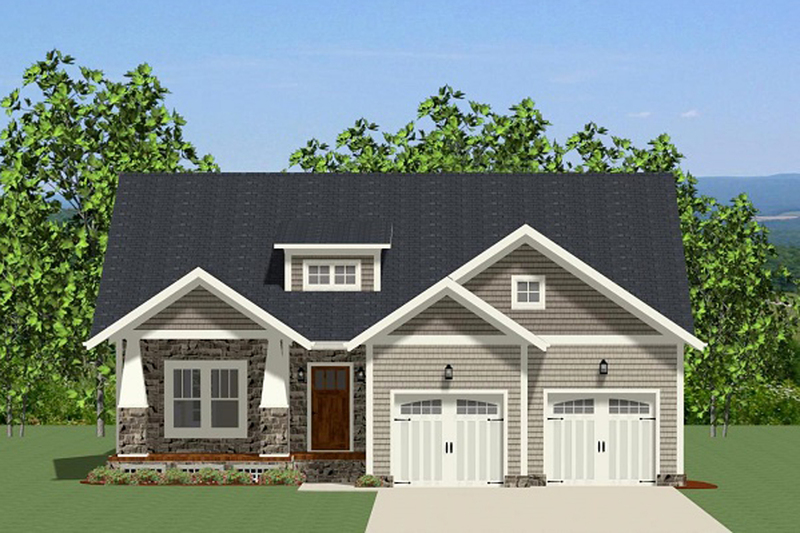 If you have a family, do you want the master suite close to the secondary bedrooms or separated? Do you entertain? 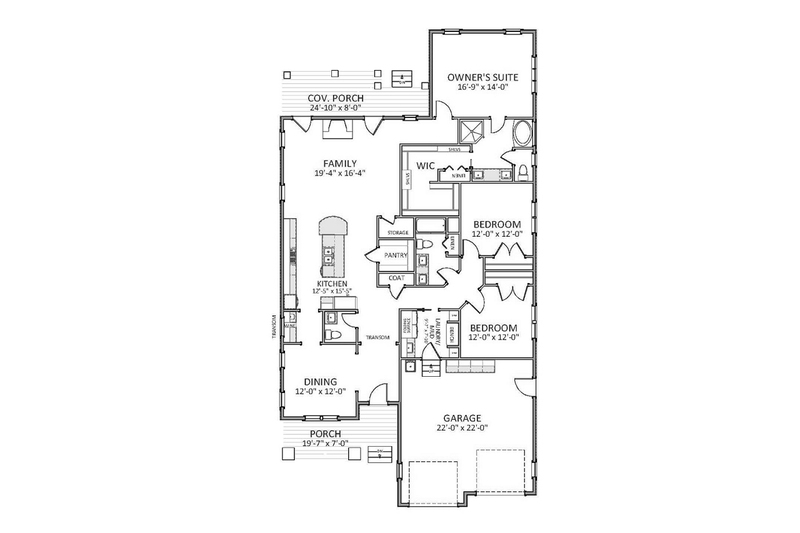 Are there elements within the floor plan that allow for entertaining with ease? How do you take care of laundry? Would you prefer the laundry room to be close by the kitchen, garage, or close to the bedrooms? Storage space? Is there enough? Consider your access to the outside? Do you want to extend your indoor living to the outside? Is there adequate porches or patios for how you want to enjoy your yard? Where will you place your grill or patio furniture? The view? What are you going to see when you look out your windows? Need more privacy or need more accessibility to a view? Make sure your garage will accommodate your cars, RV, or boat. Adequate storage? Do you want or need a door to the exterior beyond the opening garage doors? Utility sink? Space for an additional refrigerator or freezer? Consider things about your current home/residence that you don't like. By pin pointing these areas of your current home that you don't care for, you can make sure they are addressed in the next. After reviewing giving it careful consideration you may find that the plan would be perfect with a few design changes. HPC can certainly help you with that with our customization services. So you've found that almost perfect design, and find yourself saying, "if only". Whether it's changing the size of a room, adding space or features, or moving things around, we can help you take that almost perfect design and make it perfect for you. It's exciting to create a plan to fit your exact needs and wants whether it's your home, garage or even a potential investment property. When you locate your plan, select the "Get Started" button located on the plan detail page. Here you will be able to share with us the changes to the interior and/or the exterior of the design. You can even upload a sketch if you have one. Complete the necessary contact information and select "Submit Request". HPC will then forward your request to a designer to evaulate your changes and provide a quote within two business days. HPC is a "true quote" plan website. That means HPC will not mark-up the modification quote, we want to help keep costs down for you! Sometimes it's for easier to talk to a plan design expert for advice or direction. Don't hesitate. We are here to help. Modification quotes have choice of 5 set, PDF or CAD packages.